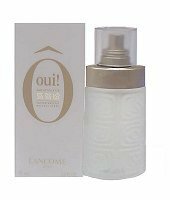 Lancome introduced Oui in 1997. It's fragrant nature explores essences of clemintine, bergamot and freesia. Blended with notes of honeysuckle, musk and cedar. Oui is recommended for daytime use.